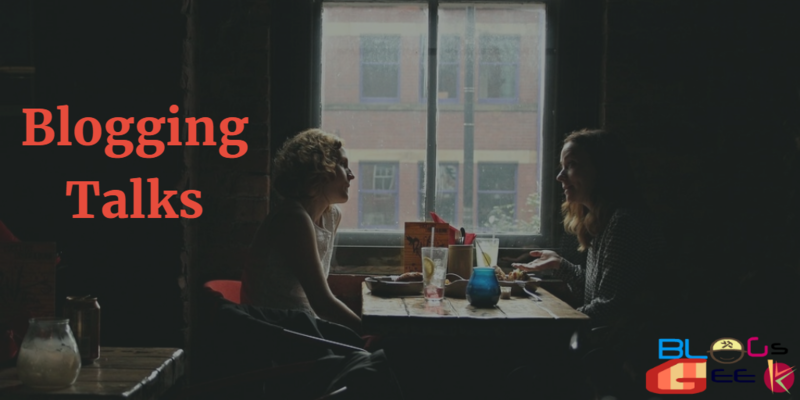 Every professional blogger knows the top google ranking or seo ranking factors which are important for a blog to be ranked in a search engine, every seo expert shares their own seo ranking factors which mainly helps newbies in ranking their blogs in google,bing etc. 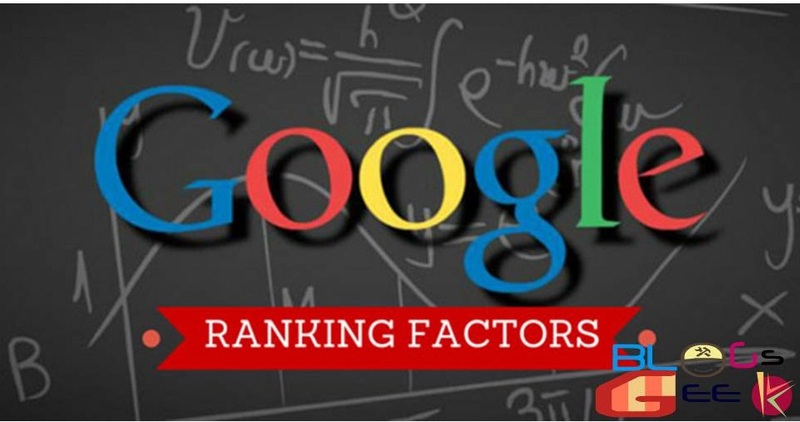 in the current phase of blogging search engine optimization or seo ranking factors are very essential in every bloggers life and if you are thinking to continue or to start blogging as a profession than you must know these google ranking factors.so today i am going to write on Top 19 Google seo Ranking Factors which will definitely work for you in 2018. Post title is one of the main thing you have to choose wisely,google firstly looks onto to Post title on your blog before ranking your article,your post title must contain the keyword on which you are focusing to rank your post i.e focus keyword . don’t make your post title too lengthy or boring you must have to choose an eye catching Post Title for your article the more unique and focused is your title ,more the preference you will get in google ranking. 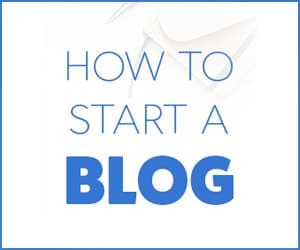 I think this is the base of your blogging life,you must be very attentive and careful while choosing the domain name of your blog that must be similar to your blog niche .for example if you are going to start a blog which deals with wordpress tutorials,then you must choose your domain name like wptutorial or E-wordpress etc. 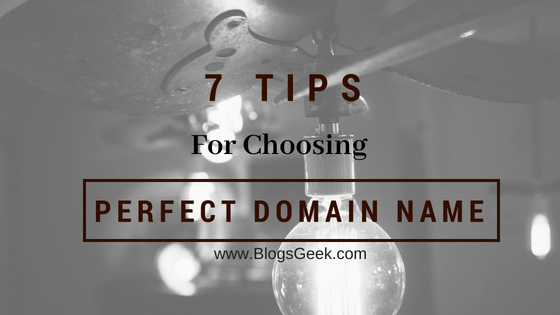 because the keyword you are focusing will get more preference if it will be present in you blog domain. here at BlogsGeek i write about seo,blogging,technology etc as its a multi niche blog but i had chosen the domain of blog by keeping in mind the niche blogging i.e Blog-s geek this step will help your website in Getting more high Search Engines Visibility and also will help crawlers and Google Spiders to find out relevant link for curtain keywords. Whenever in blogging the word trust and surety comes then it is directly related to the Domain Age,as older the domain is,the more trustworthy it is. so if you start a business or blog on a old domain then it will surely help you to rank your blog high in google As Search Engine Results In Google Will Give More Preference to The Older domain in comparison with the new domain .Domain Age Is A Vital seo ranking factors. After the Post Title,the search engine crawlers and spiders move up directly to the Headings of your Article i.e H1 And H2 tags of your article or post,so using the focus keyword in your H1 And H2 tags is highly recommended by every SEO Experts. this will definitely rank your blog high in google search results. Google always tries to get the better result to their search queries by the visitors and ranks highly the blogs/website with high potential i.e better content and every blogger knows that Content is the King Of Blogging world. google always try to rank those blog which have a detailed or more content . so try to write quality articles of more than 1000 words as those will be given more preference that the blogs containing articles of 300-800 words. That’s the factor i experienced in my starting days of blogging when i was not regular in blogging and was not able to rank my blog high on google and other search engines,but after known the value of regularity in blogging when i become regular in updating my blog with more useful stuffs my google ranking was highly improved. Updating your blog regularly will help your blog to be in touch with the google crawlers which helps to rank a blog post in google. After getting the exact focused keyword for your blog post,you must know the value of Keyword Density which is a Google SEO ranking factor,keyword density is actually the number of times you have used the focused keyword in your blog post.you must be careful with the keyword density as over using of keywords will end up by penalizing your blog which will result in no ranking in google search results. Using Images and Videos related to the blog post will also help you to rank your blog in google results,use proper images and videos related to your blog article for example if your are giving a tutorial on something then try to explain the tutorial by use of images in each step or record a video of the tutorial and attach it with your blog article so it will help the visitors more and google will also love to rank your blog. Your website pages loading speed is most highly recommended for SEO in these days.If your website loads in between 2 sec then it is good for your website.While a visitors find your website in Search Engines and he click on your website ,so if the it’s load in time then surely visitors check out your website or in other case if your website keeps loading and loading then it will be cause of bad impression on the visitors and he will quickly leave your website and go to the next one.this will also affect the bounce rate and average time per session on your Blog. Want To Check Your Blog Loading speed Click Here To Check Your Blog Loading speed . Mobile Optimized sites are given more preference by the google nowadays, this is due to the increment in the mobile internet users and in the upcoming time 90% of the traffic on the world wide web will be of mobile users only, so making your blog mobile optimized or responsive will end up by giving a better rank to your blog. Domain Authority plays a very vital role in SEO ranking .Always look for Quality and most relevant website for creating backlinks .This will boost your website Domain Authority And having a better Domain Authority is having a better rank in google results. Sitemap is one major truth of SEO which actually Google Crawler’s and Spider’s looks for .It is be proved in term of Ranking your website higher in Search Engines and more Search Engines Results visibility.Google love this practice of indexing new pages and content into their Database. Google Penguin which when came changed the lives of many newbie bloggers by penalizing their blogs,actually it is an algorithm which is used to detect spammy backlinks so next time while creating a backlink think twice and create genuine backlinks to your blog to be Penguin safe. Backlinks are base of any website on which a website ranking depends in Search Engines .Better the quality links and relevant link you will create ,more chances of Ranking your website high will be increased.Always be avoided from spammed backlinks as they put a negative effect in your website’s ranking and is a seo ranking factors. Copying And Content spinning are the most hated by google when it came to rank a blog is search result,always go for genuine self created unique blog post that will definitely rank your blog on the first page as the better the quality and uniqueness of article will be there the more ranking it will get. Always update your blog with that content which is on most trending in these days.Write posts which are useful and helpful for the visitors,if they found useful content on your website then it will encourage them to visit your website again and check for new updates. If you are writing content which is very helpful for your audience and also get advantage from it then they will surely share their positive feedback through commenting and sharing posts in their website .So it will also give your website more advantage to your website ranking. 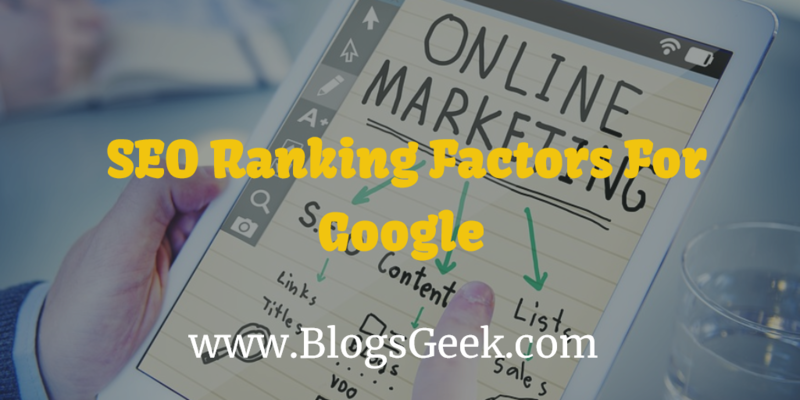 seo ranking factors are the basics of blogging as just by writing articles you could not be succeed in blogging you must know how to rank your articles in the google organic results to get organic traffic by which you could generate some revenue using your blog or site but for that you must know The seo ranking factors for google by which you could easily rank your articles high in google.I think the above article was easy to understand and hope it’ll work for you. Waiting for your Valuable Feedback in the comment section. Hi Aditya.. Thank you very much Very nice and helpful article. 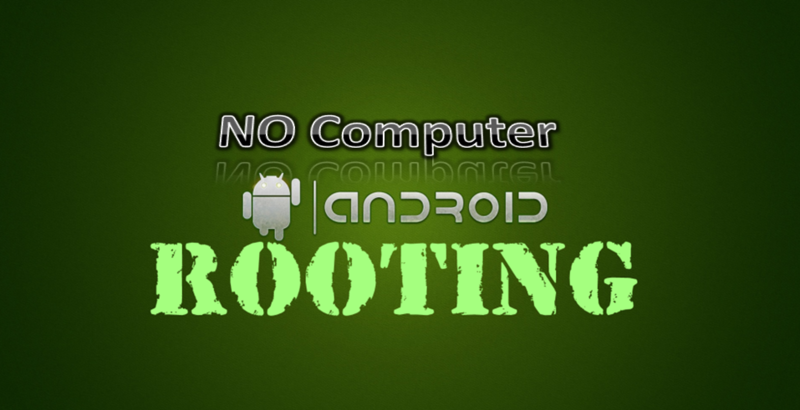 Amazing blog and very helpful information. keep sharing such a nice content. Why some people say domain age doesn’t matter ? If I redirect 301 my old domain to a new domain, will it rank the same ? 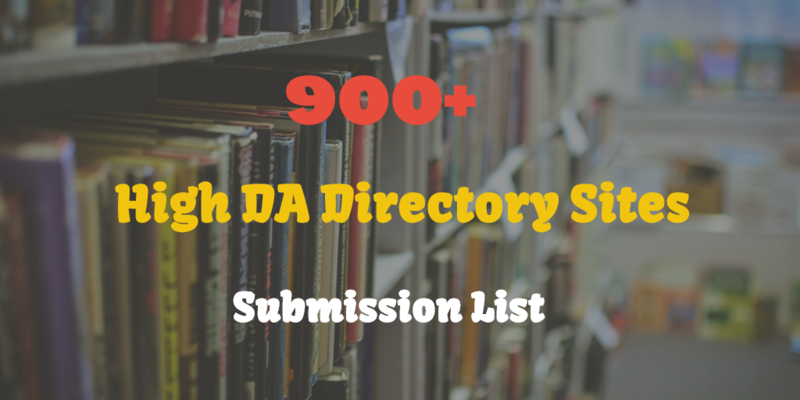 Domain age really matters a lot in getting indexed in google search results,talking about the 301 redirects it would take some time but you will not end up loosing your organic traffic from google. 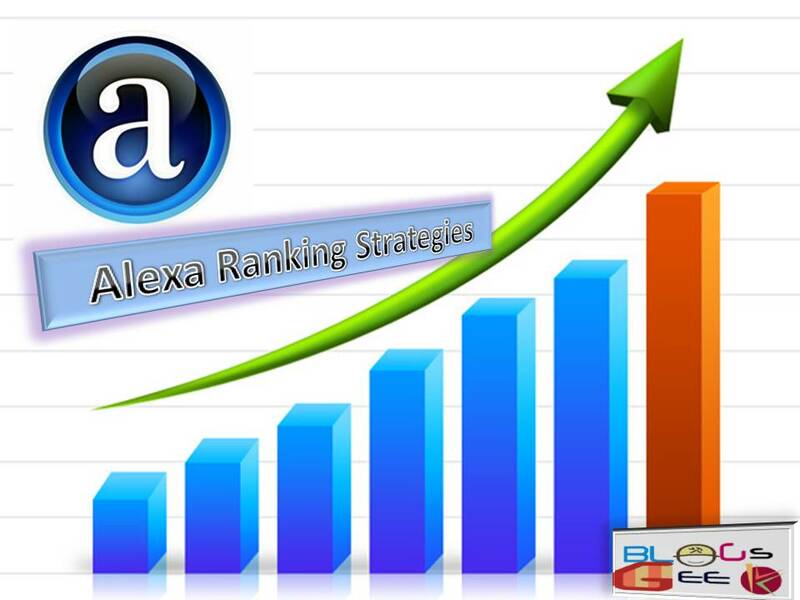 But i can’t guarantee your indexing as many other factors also plays a key role in ranking. The one and only true factor since panda update around 2012 is unique and good content , by good content i mean i mean both grammatically. at that time almost all my websites were down and i redited all my content with good content keeping grammar no 1 factor and that how i re gained my google index position.